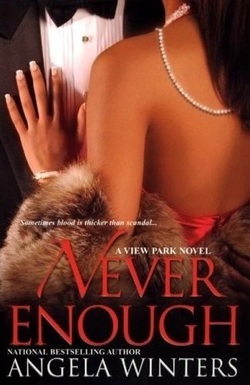 Enter VIEW PARK and the scandalous, glamorous, intriguing world of one of the country's wealthiest and most powerful African-American families...Steven Chase is the head of one of the wealthiest African-American families in the country and the most scandalous. In Los Angeles, he has built a cosmetics empire from nothing. With a perfect society wife at his side, he continues to conquer and push Chase Beauty higher while his sons and daughters fight outside forces, and each other, to hold on to their wealth and position and acquire everything they desire! An affair with a married congressman leads to witnessing a drug deal, putting the youngest Chase in harm's way and the spoiled debutante makes sure to spread the trouble. A career choice pits a daughter against her parents, leading to deception and deadly consequences. A corporate buy-out goes wrong, threatening the family's reputation, tearing father and son further apart, sparking a forbidden attraction and landing a Chase in jail for attempted murder. Sometimes blood is thicker than scandal....With four grown children and a multi-billion-dollar empire to oversee, Janet Chase has been the perfect partner to her husband Steven, Founder and CEO of Chase Beauty. But lately, her well-ordered world seems to be falling apart. Daughter-in-law Kimberly has had enough of living in the Chase mansion and enough of Janet's reminders that she doesn't belong. Kimberly sees only one solution: get rid of Janet. And the only way to do it is by unearthing a skeleton from deep within Janet's closet. It's almost been a year since Carter Chase walked into Avery Jackson's beauty salon intending to buy her out for his father's company...and fell madly in love with her instead. It didn't matter to him that Avery was already engaged. A fiance was something Carter could make disappear. And he had, though now it meant hiding a shameful secret from Avery, one that could destroy their future. Carter's kisses set Avery on fire, but it's more than physical. He was there for her when her fiance broke her heart. Avery couldn't be happier- or more willing to ignore the voice inside, warning her to make sure she really knows this man who has swept her off her feet. Exiled to Europe after a high-profile scandal, twenty-three year old Haley Chase has returned home to cause new trouble. This time it involves a dangerously sadistic new beau. Driven to desperation by a family out of control, Janet may be her own worst enemy in a world where no indulgence, addiction or desire is out of reach. The last thing Carter Chase wants to do is celebrate, even if the party is in his honor. Being appointed to the Board of his father's multibillion-dollar empire means nothing to him since his fiance Avery left him. Carter intends to use every available resource, and compromise every moral, to find her and get her back. Meanwhile, Carter's brother, Michael, has a problem of his own. His relationship with his wife Kimberly has been strained ever since she exposed a shocking secret in his mother's past that nearly destroyed everyone. Now Kimberly faces a new threat from her own past that could cause her to lose Michael forever and destroy the entire Chase legacy. Miles away, Avery Jackson tries to put the past behind her. To succeed she will have to make sure the Chase family never discovers the secret she's taken with her. But that may be impossible when an emergency brings her back home and everyone's paths converge when Avery's father, View Park's Chief of Police, is shot. But it's not just the Chase men who are in turmoil. Oldest daughter Leigh is being publicly wooed by a hot Hollywood star with a fast, self-indulgent lifestyle that places her in danger and changes her life forever. And with the youngest daughter Haley creating scandal after scandal, the family may be in hot water not even their billions can buy them out of. In the meantime, Carter's brother, Michael, is embroiled in his own drama, consumed with guilt over the pain he caused his now ex-wife Kimberly. Six months after granting her a divorce, Michael wants her back.